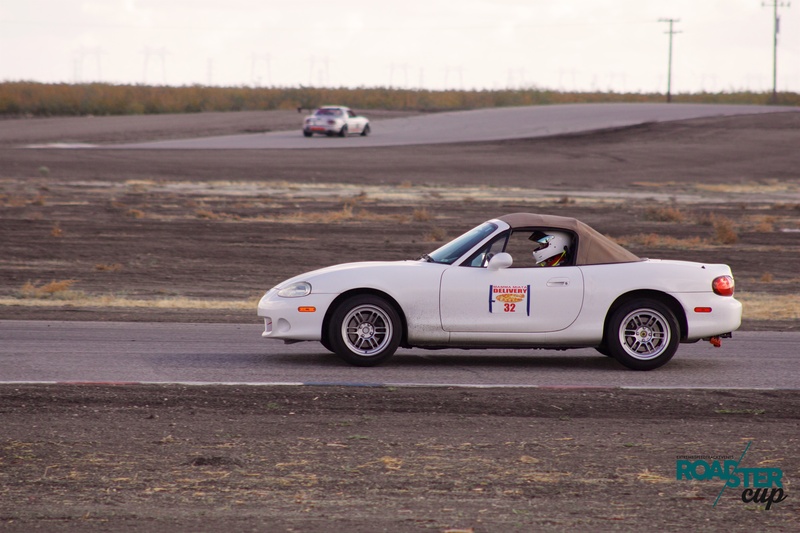 We’re sad to say that last Sunday at Buttonwillow was the final event of the 2018 Roadster Cup season. It’s been such a great year with intense battles in each class but, like all good things, this year must come to an end. And what a way it ended! The sky was clear and there was no sign of rain, but the morning started with a wet track from the previous night’s rain. 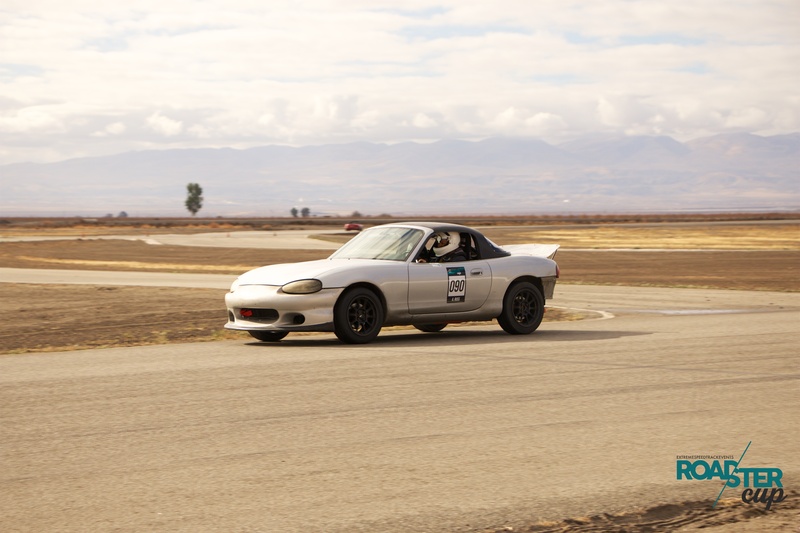 Roadster Cup was the first session out, so drivers had to navigate a slick track and stay on track to stay out of the mud. The conditions weren’t ideal for setting new PBs or records, but as the day went on the track dried and people got faster. 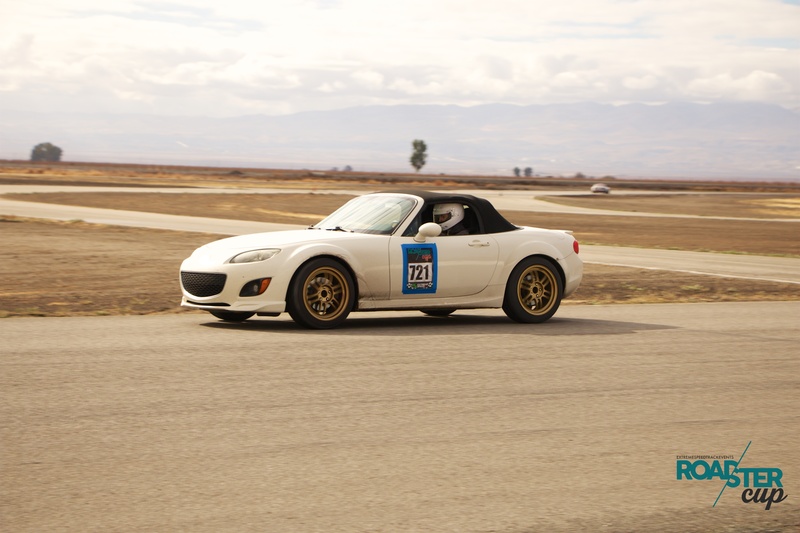 This round was crucial for locking in spots on the podium for the overall class championship. We take the total number of points from the driver’s best 7 of our 8 rounds to determine our class winners. Some people choose to not show up to a round, and some people choose to drive at all 8 events and throw out their lowest number of points, which can lead things to end in your favor. Let’s get into the results and see how the event and class championships played out! Despite not having the most heavily modified cars of our group, Enthusiast class never ceases to impress us with the times they pull off! Kevin Eguchi took 3rd place by running a 2:13.507. Congrats go out to Conner Morris for managing his first RC podium with a 2:11.779. Andrew Russ set a new class record and took the win with a 2:05.620. He beat John Arden’s previous record by 3 seconds. Great job, Andrew! Andrew Russ sealed the championship with 144 points. Brandon earned 2nd place with 118 points and Clay Phillips took 3rd overall with 90 points. 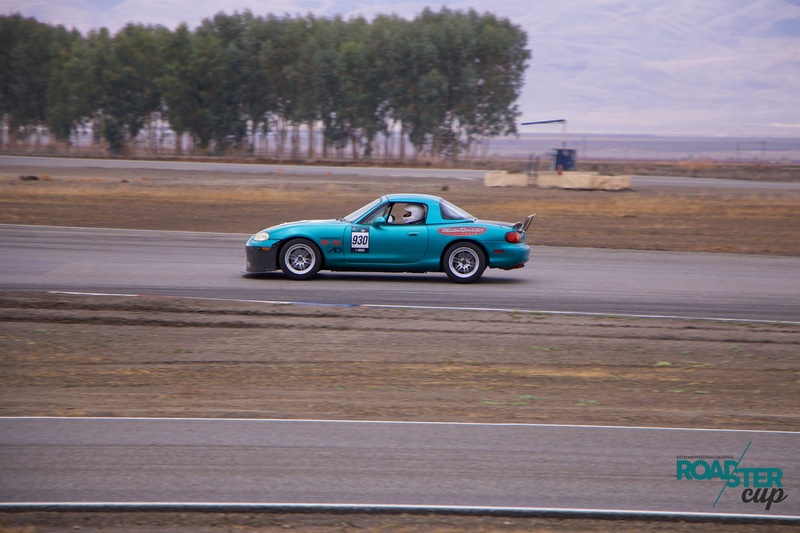 Piloting his NB, John Arden placed 3rd with a 2:05.498. Erik Brenner took 2nd place with his 2:03.978. Colin Bowman pulled off 1st place and also set a new class record by running a super fast 2:02.425. Great job, Colin! Colin’s win pulled him into 1st place for the title of Street class champion with 135 points. Erik moved into 2nd place with 129 points and Zee took home 3rd place with 117 points. Modified class didn’t disappoint, as usual, with its close battle. 2nd-4th were only separated by two-tenths of a second! In the end, Joseph Acuna was knocked off the podium by Keaton Hutchison who took 3rd place by running a 2:04.058. Also, shout out and congratulations to Keaton on his first RC podium! Sean Hopkins beat Keaton out for 2nd by two-hundredths! Sean of Tri-Point engineering ran a 2:04.034. Chris Willard came out on top as the Mod class victor with a 2:02.019. Chris Willard is our 2018 Modified champion with 140 points. Sean Hopkins was able to pull ahead of Joseph Acuna for 2nd place with 124 points. Despite hardly being knocked off the podium this round, Joseph remained on the overall championship podium and placed 3rd with 116 points. We were so excited that we had 7 competitors in Unlimited this round. We typically only have a few since these are the most heavily built cars, but we had some new faces, shaking up the competition and making this round that much better! The fight for the overall championship was ridiculously close, so we were stoked to see who showed up and what the podium was going to look like. Despite facing some issues after an off at Phil Hill, Roadster Cup newcomer Gabriel Rubio pulled of 3rd place with a 2:00.070. Alan Tseng managed 2nd place with a 1:58.200. Alan’s looking forward to competing in Roadster Cup more next year, and we’re excited to have him as an Unlimited class regular! 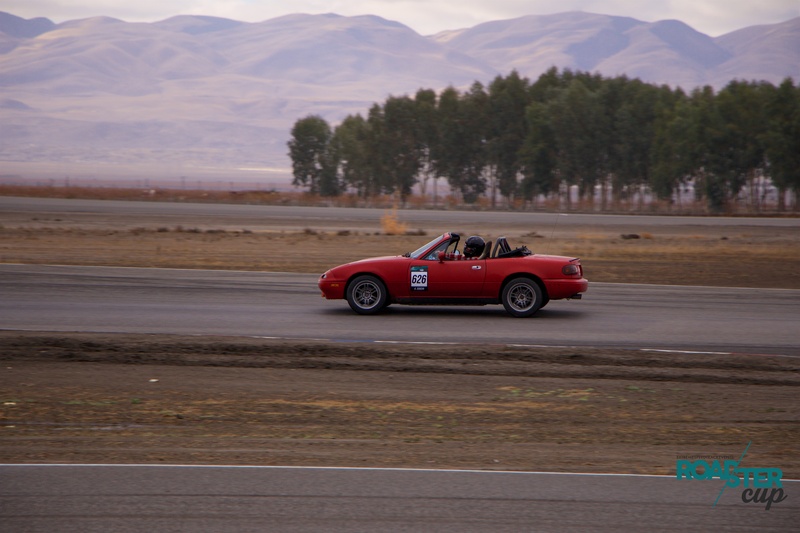 Daryk Arden fought hard in his Ecotec Miata and ran a blistering fast 1:56.564. Daryk’s win forced he and Jerry Arnone into a tie for 1st place overall. We then evaluated who had the most 1st place wins, which was also a tie (the both had 2). Finally, we went to most overall points without the throw away round and Daryk came out on top to seal the 2018 Unlimited class championship with 140 points (128 points adjusted with throw away round). This pushed Jerry into 2nd place with 128 points. Despite selling his car half-way through the season and not competing, Jeff Klavir still managed 3rd place overall with 83 points. Congratulations to all of our winners at Buttonwillow and everyone on our overall championship podium, you guys fought hard all season! For those of you who were close to the overall podium or joined midway through the season, don’t worry, you can return next year with a vengeance! For the full results, visit the Results page. For more photos from the event, visit the Photos page. A huge thanks to Michael Bassani for taking our photos! 2018 was definitely a solid year, but don’t worry, we’ll be back and can’t wait for the 2019 season. We are so grateful to our sponsors and partners who supported us this year, Extreme Speed Track Events, StopTech, Koyorad, and Good-Win-Racing. Without them, this series wouldn’t be possible, so be sure to support them as you’re prepping your car for next year. Most of all, thank you so much to the Roadster Cup family. We’re an eclectic bunch of hairdressers, but I wouldn’t want it any other way! You are what makes this series and community what it is, and for that, I can’t thank you all enough! We’re eager to see the new builds and which class each driver will end up in during the 2019 season! We have a tentative schedule drafted and will post once a few things are confirmed. 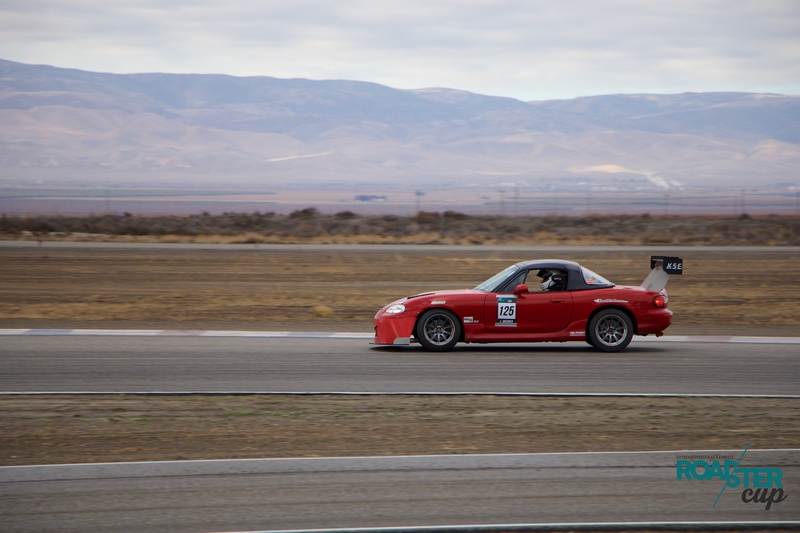 We’re looking at March 10, 2019 at Chuckwalla as our first round. Stay tuned for rule changes and a confirmed schedule coming in the next few weeks. How are you prepping for 2019? Use the tags #rcprep and #roadstercupprep on Instagram so we can share how you’re all prepping for next year. As mentioned above, be sure to contact our sponsors as you prep for next year for Roadster Cup exclusive discounts. We hope to see you at the banquet on December 29th, but if we don’t, we’ll see you next year. Have a safe and happy holidays!